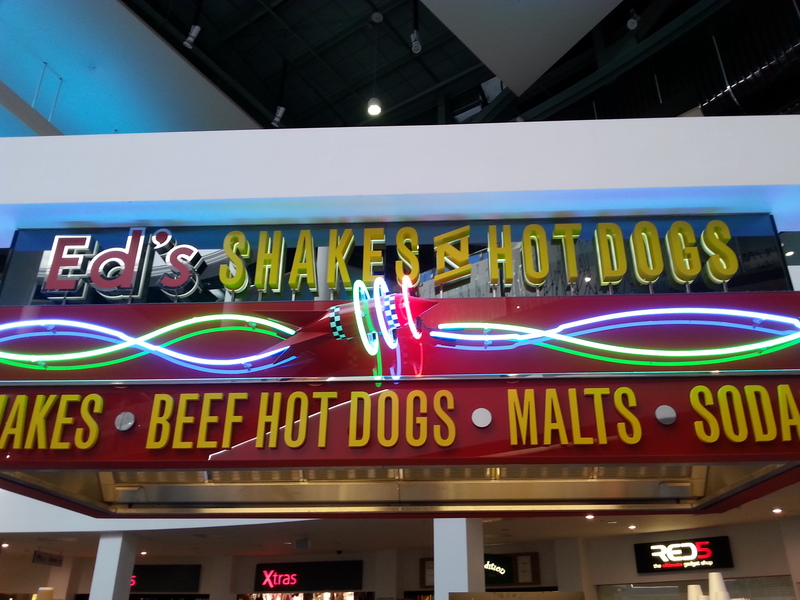 Ed’s hotdog stand, meadowhall shopping center. When out on a day of shopping, especially post Christmas, it’s always vital, for your own sanity, to break up the repetitive jumps from packed clothing shops teaming with January sale hunters to toy shops full of kids with their freshly full little pockets brimming with Nana’s Christmas money. This year we decided to hit the shops early so we could get in and out quickly, but this also meant the need to quench mid shopping hunger pangs struck early. To find somewhere to replenish our quickly depleting fuel tanks we wandered into the food court of the meadowhall shopping center and ambled around wondering what we could really justify eating at 10:30 in the morning, as let’s be fair, tapas or pizza just isn’t usually a plausible option to me before the sun is past the yardarm. This brought us to Ed’s. Situated in the central part of the food court it is bright and stands out. Ed’s brings what you would expect from a place playing on the ‘American style’ experience that is becoming increasingly more popular in the UK at the moment, offering hot dogs, milkshakes and malts as a quick option rather than the full ‘USA’ grill or restaurant experience offer by its other branch located just upstairs. Overall not an amazing experience and not somewhere I would recommend or go out of my way to return too. next time I go to Meadowhall I will probably try somewhere else. Sorry Ed, not bad but there’s some definite room for improvement. 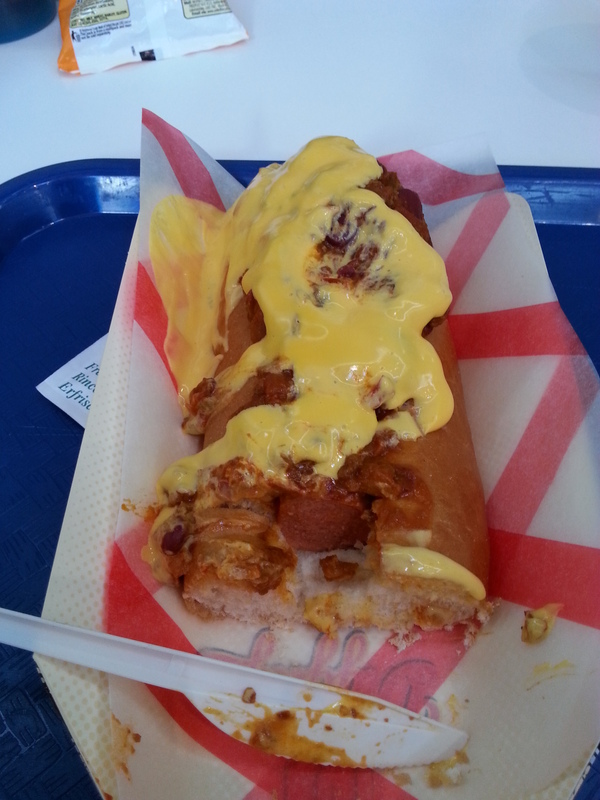 This entry was posted in food, reviews and tagged beef, bread, bread roll, cheese, chili, chilli, cook, cooking, ed, Food, hall, hotdog, Leeds, lunch, meadow, milk, milkshake, review, roll, sauce, snack, USA, white. Bookmark the permalink.